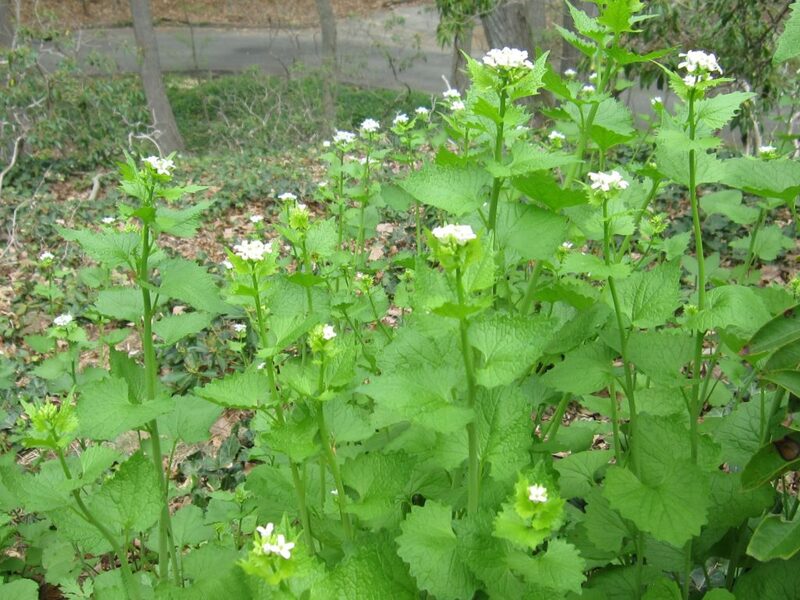 Garlic mustard is a biennial herbaceous plant. In the first year of its cycle when it grows from seed this plant will start from two small leaves and grow throughout the summer without forming flowers or seeds. This is the best time to pull out the entire plant before its roots become well established. 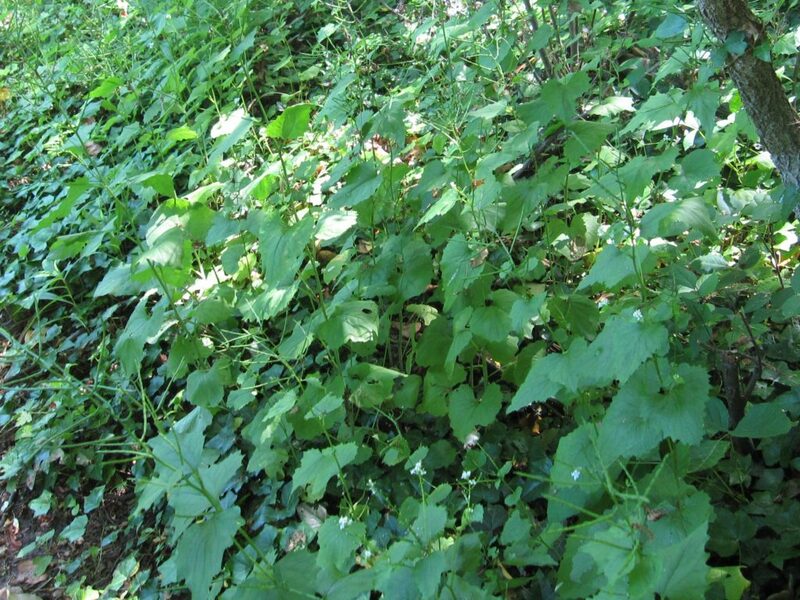 Be careful not to confuse garlic mustard with our native common violet, which is part of the local ecosystem. 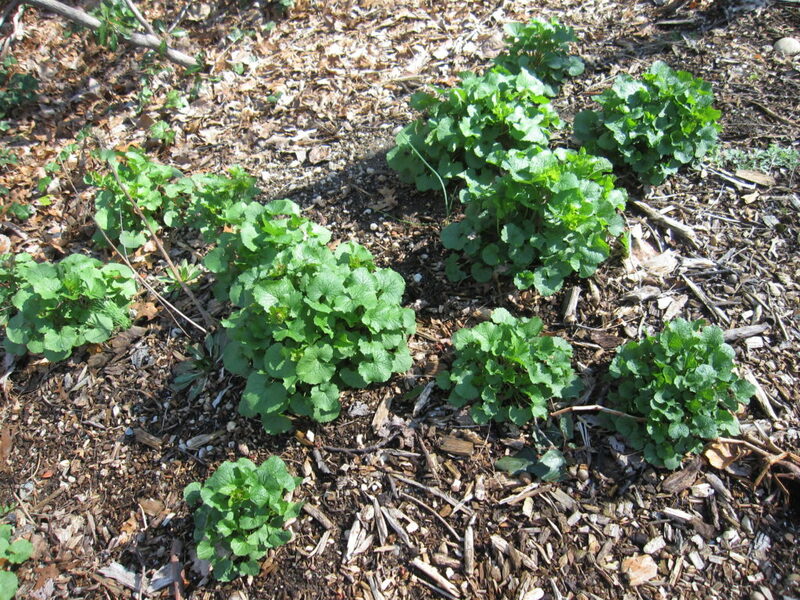 The young seedlings and small rosettes of the first year’s growth remain close to the ground throughout the growing season, and don’t flower. 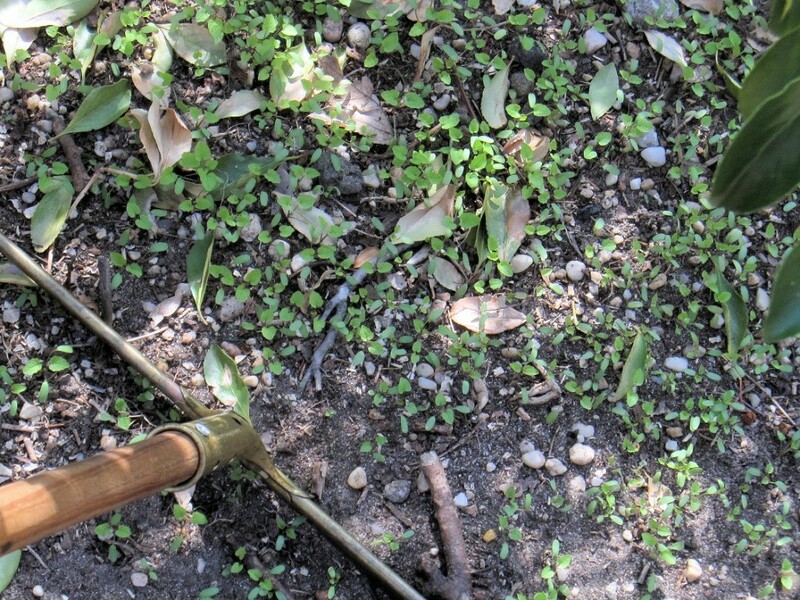 Uproot or drag out with a window squeegee and leave on site or compost. By April of its second year the plant quickly matures from the prior year’s roots to produce spiky clusters of white flowers at the top of the stalks by May. The plant continues growing, ending its life cycle with upright seedpods just below the flowers. This transformation from flower to seed will continue even if the entire plant is uprooted. So never leave flowering stalks or seed pods on the ground. They are that tenacious. 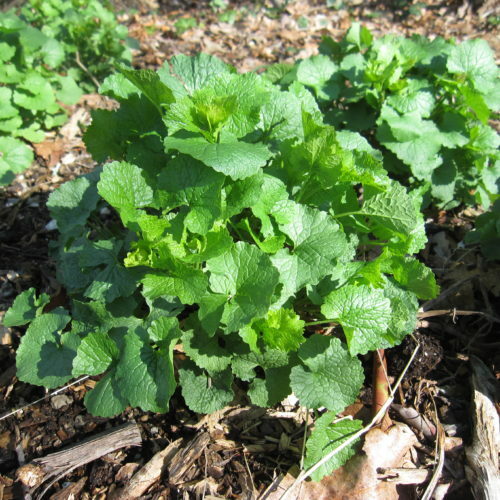 Although the roots of garlic mustard will die in the ground by June (the end of its second growing season), to prevent the seedpods from dispersing: hand-pull to uproot, bag the entire plant, solarize and then dispose. Do not compost. Tender leaves of the early crop are edible and can be cooked. To cook garlic mustard, collect a bag or two of the young stems with their tender leaves along with the flowers and seed pods — if they’ve gone that far — for a delightfully pungent green vegetable side dish. Saute and prepare like broccoli rabe, or mix in a sweet fruit (sliced apples and oranges sweeten the somewhat bitter garlic mustard) and top with parmesan cheese, or prepare them as a pesto. Freeze some for future use. Click on Invasive Herbs post. For additional information about uprooting plants visit Uproot Herb Plants.